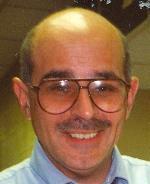 Joseph A. Forseze, 58, of Hooksett, NH died July 25, 2008 at Catholic Medical Center, Manchester, NH following a sudden illness. He was born in Manchester, NH on September 11, 1949 and was the son of Sam and Fay (Malatras) Forseze. He was raised and educated in Manchester. He graduated from Manchester Central High School in 1967. He was a member of the New Hampshire Army National Guard from 1971 until his discharge in 1977. He attended Keene State College where he earned a bachelor’s degree in 1971 and went on to earn his Masters Degree in Education from Rivier College in Nashua, NH in 1976 and became a member of Phi Delta Kappa Society. He earned his Certificate of Advanced Graduate Study from Northeastern University in 1982. Mr. Forseze taught in local (NH) schools until becoming Principal of Highland Goffe’s Falls School in Manchester from 1983 until his retirement in 1999. He was a member of St. George Greek Orthodox Cathedral in Manchester and was president of GOYA. He also served on the board of directors of the Big Brother Big Sister of Greater Manchester. He was an avid reader but really enjoyed spending time with his family, especially movie nights. IN HIS LIFE: He was an inspiration to us all. His sense of humor and positive attitude touched the hearts of all who knew him. A special friend, John McCarthy, admired Joe’s strength and sense of humor and truly believed he was a gift from God. Joe felt God blessed him in his life by surrounding him with dedicated and wonderful friends who supported and prayed for him. The family includes his wife, and best friend Donna (Sartorio) Forseze of Hooksett, NH; a stepson, Marc Gravel whom he was very proud of and a stepdaughter, Sarah Gravel whom he called his Princess, both of Hooksett NH; one special sister, Stephanie and her husband Jack Connor, his favorite brother-in-law, and a nephew, Stephen Connor whom he loved very much, all of Methuen, MA. He is also survived by his in-laws, Mr. and Mrs. Francis Sartorio of New Smyrna Beach, FL, a brother-in-law, Scott Sartorio and his wife Lori of Keene, NH and a sister-in-law, Laurie (Sartorio) McNabb and her husband Sean of The Hague, Netherlands. SERVICES: A celebration of his life took place on Wednesday, July 30, 2008 at the Faith Christian Center, 12 Station Rd., Bedford, NH. In lieu of flowers memorial donations made be made to In Touch Ministries, P.O. Box 7900, Atlanta, GA 30357-9979 or to a charity of one’s choice.